This finely appointed and newly renovated oceanfront condo provides a comfortable oasis during your visit to Maui. See it on our website below. Enjoy a direct view of the ocean with stunning sunsets from your own private lanai. Or, barbecue fish on the nearby deck. Located on a beautifully landscaped, quiet 52-unit 2-story complex, this upper-level townhouse condo is a short stroll to the pool and ocean. The nearby surf is a great place for exploring tide pools, kayaking, snorkeling or spotting wildlife such as whales and dolphins. The condo, nestled away from the crowds, is just ten minutes from Lahaina and five minutes from some of the best beaches, golf, and snorkeling on the island. With 2 bedrooms and two baths, this non-smoking condo comfortably sleeps 5. The lofted suite has a king bed, and the open style continues in the newly renovated kitchen. Over the past 30 years living in Washington state, our family has enjoyed many trips to Maui: one of our favorite destinations. Whether on a romantic getaway, or a family vacation with our two sons, the breathtaking scenery and relaxed pace of the island has always resonated with us. We acquired this wonderful townhouse condo in February of 2011, after my retirement from a thriving dentistry practice. It was during a trip to Maui for our 30th wedding anniversary, when we decided to take a leap of faith and buy a condo in one of the most exotic and picturesque places on the planet - and we’re so glad we did. We believe in “paying it forward”, and it’s been deeply rewarding for us to share this special place, where our guests can build memories of their own. Beyond the fact that the natural beauty of this area and its accessibility are amazing, we chose this location because of it's 'vibe'. 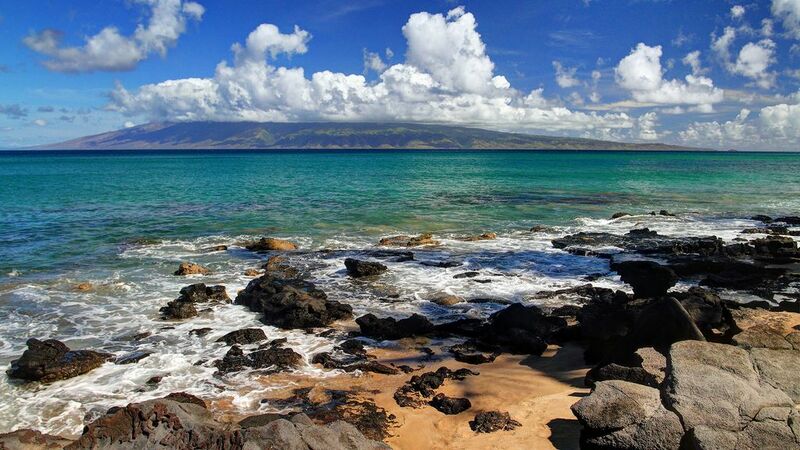 This property is located just north of Kaanapali (a popular tourist area) and just south of Napili and Kapalua. It has close proximity to popular destinations, but remains far enough away to maintain a quiet atmosphere - perfect for those who are looking to escape the bustle. 50 Steps to the water's edge / walk down to a sandy beach in front of our resort. Swim with the turtles almost daily! Year round sandy beach access in front of our resort! Direct unobscured view of the island of Lanai. The ocean is a short 50-foot stroll across a well-manicured grassy area. Complete with coffee maker, appliances and all the dishes you need to cook and dine 'at home'. Ocean view while you cook. Bring your own iPod music library to play on our iPod player! Private lanai has stunning views of the surf, neighboring islands and breathtaking sunsets. Table and chairs allow for a morning cup of coffee, an outdoor meal, or a twilight card game. A well-maintained, family-friendly pool. Plenty of 'water noodle' flotation aids for kids, and reclining sun chairs for the grown-ups. Ocean is just steps away. Smoking is not allowed in condo. You may smoke designated outdoor areas. Unit is on second level with one flight of stairs. There is preassigned parking for one car per unit.. Interim Maid service can be arranged directly with property management for a fee. Unit will be cleaned when you check out. Whales, turtles & dolphins often seen from property, (Almost daily you are able to swim with turtles in front of our resort --'Better than Turtle Town' has been our guests responses).